Since most of the library’s operating revenue comes from taxes paid by Ray County residents, new accounts for library cards are issued to individuals who can show they are Ray County residents, taxpayers or work inside the county limits. After you fill out a library card application, your card will be mailed to you. You can check out two items at checkout until you receive your card in the mail. While you’re waiting to recieve your card in the mail, please come to the front desk to gain computer access. Individuals who do not reside, pay taxes on property or work within Ray County may obtain a library card by paying a $30.00 annual fee. The annual fee covers the entire household. Temporary cards are also available for a fee of $5.00 for two months. While the first card is free, replacement cards cost $3.00 if an individual has lost their card. Once you have obtained your library card you are free to utilize the Ray County Library. Please bring your card with you to the library whenever you wish to check out items or use a computer. To protect the safety and privacy of our patrons, we do not allow patrons to share cards. To reserve items from the online catalog or check out eMaterials, you will log in with all ten digits of your library card as the username and the last four digits of the card number as your PIN. There are a variety of eMaterials available for checkout on your computer and mobile devices. There are no fines associated with these items. For more information about accessing eMaterials, please contact the library or visit the eBooks page. Once you have obtained your library card you may acquire a free Mid-Continent Library card. 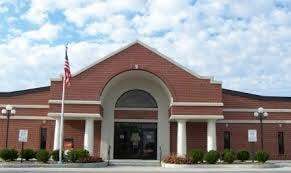 The Ray County Library has a reciprocal agreement with the Mid-Continent system that allows Ray County Library cardholders to utilize the Mid-Continent system free of charge and allows Mid-Continent cardholders to utilize the Ray County Library free of charge.